What is Staphylococcus? What causes a staph infection? How long is a staph infection contagious? What is the incubation period for a staph infection? What types of diseases are caused by staph? What are the different types of staph infections? What tests do health care professionals use to diagnose a staph infection? What types of health care professionals treat staph infections? What is antibiotic-resistant S. aureus? Is it possible to prevent staph infections? What is the prognosis for staph infections? 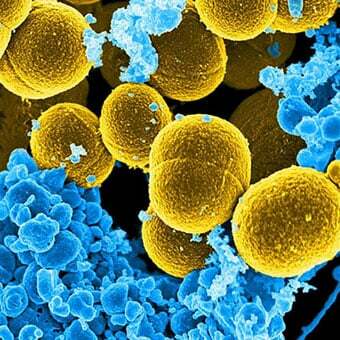 Staphylococcus (sometimes called "staph") is a group of bacteria that can cause a multitude of diseases. Staph infections may cause disease due to direct infection or due to the production of toxins by the bacteria. Boils, impetigo, food poisoning, cellulitis, and toxic shock syndrome are all examples of diseases that can be caused by Staphylococcus. Symptoms and signs of a localized staph infection include a collection of pus, such as a boil, furuncle, or abscess. The area is typically tender or painful and may be reddened and swollen. Methicillin-resistant Staphylococcus aureus, known as MRSA, is a type of Staphylococcus aureus that is resistant to the antibiotic methicillin and other drugs in this class. Staph infections are treated with topical, oral, or intravenous antibiotics, depending upon the type of infection. Staphylococcus is a group of bacteria (microbe or germ) that can cause a number of infectious diseases in various tissues of the body. Staphylococcus is more familiarly known as staph (pronounced "staff"). Staph-related illness can range from mild and requiring no treatment to severe and potentially fatal. Over 30 different types of staphylococci can infect humans, but most infections are caused by Staphylococcus aureus. Staphylococci can be found normally in the nose and on the skin (and less commonly in other locations) of around 25%-30% of healthy adults and in 25% of hospital or medical workers. In the majority of cases, the bacteria do not cause disease. However, a cut, abrasion, or other damage to the skin or other injury may allow the bacteria to overcome the natural protective mechanisms of the body, leading to infection. Staph infections are contagious until the infection has resolved. Direct contact with an infected sore or wound, or with personal care items such as razors, bandages, etc., are common routes of transmission. Casual contact such as kissing or hugging does not pose a great risk for transmission if there is no direct contact with the infected area. 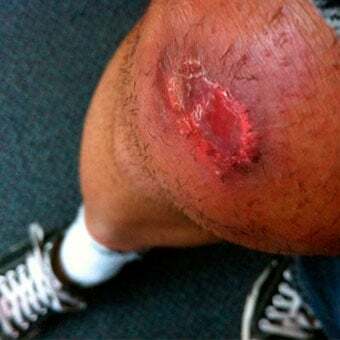 Certain kinds of staph infection (see below) involve staph organisms that cause food poisoning or toxic shock syndrome. These particular staph bacteria cause disease by producing a toxin. The toxin is not contagious, however, food poisoning may affect groups of people who eat the same contaminated food. A staph infection is contagious as long as the infected person has an active (ongoing) infection. Many staph infections arise from bacteria that are already naturally present on the skin and/or mucous membranes of the individual. So there is no true incubation period for these cases. However, for staph infections contracted from another person, the incubation period usually ranges from about four to 10 days. Drainage or pus is common. When staph is in the blood (bacteremia or sepsis), it can cause high fevers, chills, and low blood pressure. Skin infections (see above) are the most common type of disease produced by Staphylococcus. 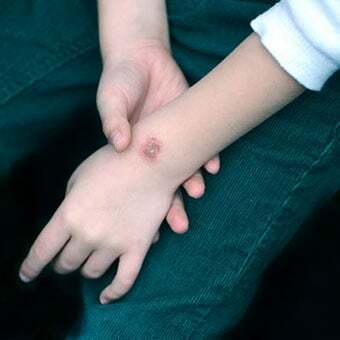 Staph infections of the skin can progress to impetigo (a crusting of the skin) or cellulitis (inflammation of the deeper layers of skin and connective tissue under the skin, leading to swelling and redness of the area). In rare situations, a serious complication known as scalded skin syndrome (see below) can develop. In breastfeeding women, staph can result in mastitis (inflammation of the breast) or in abscess of the breast. Staphylococcal breast abscesses can release bacteria into the mother's milk. When the bacteria enter the bloodstream and spread to other organs, a number of serious infections can occur. Spread of the organisms to the bloodstream is known as bacteremia or sepsis. When staph bacteria are present in the blood (infection of the bloodstream), the condition is known as staphylococcal bacteremia. Staphylococcal sepsis, characterized by low blood pressure, fever, and chills is caused by staphylococcal bacteremia. Staphylococcal sepsis is a leading cause of shock, circulatory collapse, and death in people with severe burns over large areas of the body. When untreated, S. aureus sepsis carries a mortality (death) rate of over 80%. Although not common, S. aureus has been reported as a cause of chorioamnionitis and neonatal sepsis in pregnancy, but group B streptococci are the most common bacterial cause of this life-threatening condition for the fetus. Staphylococcal pneumonia predominantly affects people with underlying lung disease and can lead to abscess formation within the lungs. Infection of the heart valves (endocarditis) can lead to heart failure. Spread of staphylococci to the bones can result in severe inflammation of the bones known as osteomyelitis. Septic arthritis occurs when staphylococci infect a joint space. Thrombophlebitis occurs when the bacteria infect a vein. Thrombophlebitis from staphylococci most frequently occurs in hospitalized patients at the site of a venous catheter. Staphylococcal infections are contagious and can be transmitted from person to person. Since pus from infected wounds may contain the bacteria, proper hygiene and hand washing is required when caring for staph-infected wounds. Staphylococcal food poisoning is an illness of the bowels that causes nausea, vomiting, diarrhea, and dehydration. It is caused by eating foods contaminated with toxins produced by Staphylococcus aureus rather than a true infection with the bacteria. Symptoms usually develop within one to six hours after eating contaminated food. The illness usually lasts for one to three days and resolves on its own. Patients with this illness are not contagious since toxins are not transmitted from one person to another. Toxic shock syndrome is an illness caused by toxins secreted by S. aureus bacteria growing under conditions in which there is little or no oxygen. Toxic shock syndrome is characterized by the sudden onset of high fever, vomiting, diarrhea, and muscle aches, followed by low blood pressure (hypotension), which can lead to shock and death. 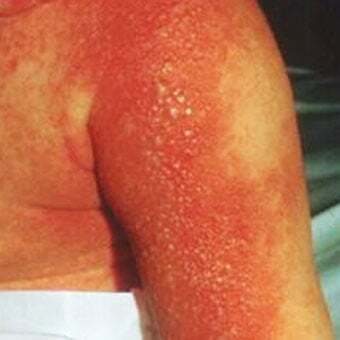 There is often a rash resembling sunburn, with peeling of skin. Toxic shock syndrome was originally described and still occurs especially in menstruating women using tampons. In cases of minor skin infections, health care providers commonly diagnose staphylococcal infections are commonly diagnosed by their appearance without the need for laboratory testing. More serious staphylococcal infections such as infection of the bloodstream, pneumonia, and endocarditis require culturing of samples of blood or infected body fluids or tissues. The laboratory establishes the diagnosis and performs special tests to determine which antibiotics are effective against the bacteria. Doctors use several different types of antibiotics have been used to treat staph infections. The choice of antibiotic depends on the type and severity of the infection as well as drug-resistance patterns of the particular bacterial type. Some of the antibiotics that have been used to treat staph infections are cefazolin, cefuroxime, cephalexin, nafcillin (Nallpen), oxacillin (Bactocill), dicloxacillin, vancomycin, clindamycin (Cleocin), rifampin, and telavancin (Vibativ). 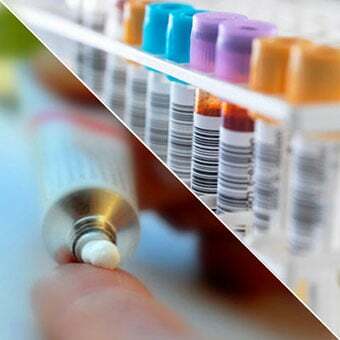 Combinations of antibiotics and other antibiotics can also be used. Some staph strains, such as MRSA (see next section), are resistant to many antibiotics. Staph infections may initially be treated by primary care practitioners including pediatricians, internists, and family medicine doctors. An emergency medicine specialist may treat the patient if he or she seeks care in an emergency department or urgent care center. Sometimes with skin infections, people seek treatment from a dermatologist. 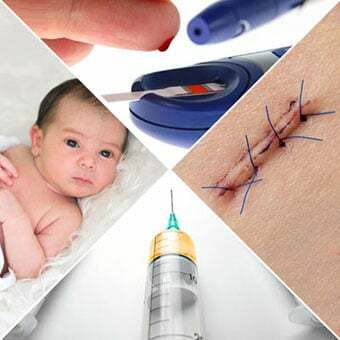 For more severe infections, bloodstream infections, or infections of the internal organs, a number of medical specialists may be required, including infectious disease specialists, cardiologists, critical care specialists, pulmonologists, and surgeons. Methicillin-resistant Staphylococcus aureus, known as MRSA, is a type of Staphylococcus aureus that is resistant to the antibiotic methicillin and other drugs in the same class, including penicillin, amoxicillin, and oxacillin. MRSA is one example of a so-called "superbug," an informal term used to describe a strain of bacteria that has become resistant to the antibiotics usually used to treat it. 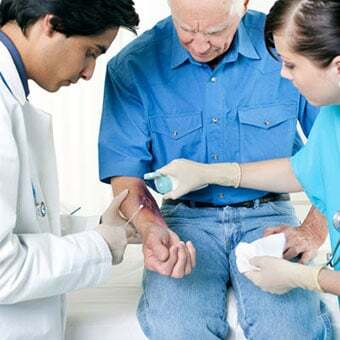 MRSA first appeared in patients in hospitals and other health facilities, especially among the elderly, the very sick, and those with an open wound (such as a bedsore) or catheter in the body. In these settings, MRSA is referred to as health-care-associated MRSA (HA-MRSA). MRSA has since been found to cause illness in the community outside of hospitals and other health facilities and is known as community-associated MRSA (CA-MRSA) in this setting. MRSA in the community is associated with recent antibiotic use, sharing contaminated items, having active skin diseases or injuries, poor hygiene, and living in crowded settings. The U.S. Centers for Disease Control and Prevention (CDC) estimates that about 12% of MRSA infections are now community-associated, but this percentage can vary by community and patient population. The transmission of MRSA is largely from people with active MRSA skin infections. MRSA is almost always spread by direct physical contact and not through the air. 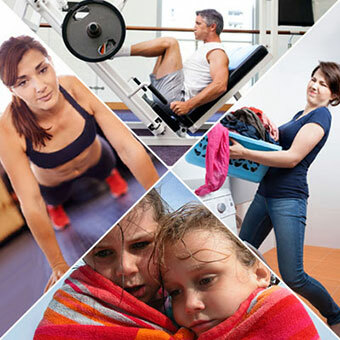 Spread may also occur through indirect contact by touching objects (such as towels, sheets, wound dressings, clothes, workout areas, sports equipment) contaminated by the infected skin of a person with MRSA. Just as S. aureus can be carried on the skin or in the nose without causing any disease, MRSA can be carried in this way also. In contrast to the relatively high (25%-30%) percentage of adults who are colonized by S. aureus in the nose (these people have staph bacteria present that do not cause illness), only about 2% of healthy people carry MRSA in the nose. There are no symptoms associated with carrying staph in general or MRSA in the nose. A drug known as mupirocin (Bactroban) has been shown to be sometimes effective for treating and eliminating MRSA from the nose of healthy carriers, but decolonization (treating of carriers to remove the bacteria) is usually not recommended unless there has been an outbreak of MRSA or evidence that an individual or group of people may be the source of the outbreak. More recently, strains of S. aureus have been identified that are resistant to the antibiotic vancomycin (Vancocin), which is normally effective in treating staph infections. These bacteria are referred to as vancomycin-intermediate-resistance S. aureus (VISA) and vancomycin-resistant S. aureus (VRSA). Scalded skin syndrome is a potentially serious side effect of infection with staph bacteria that produce a specific protein that loosens the "cement" holding the various layers of the skin together. This allows blister formation and sloughing of the top layer of skin. If it occurs over large body regions, it can be deadly, similar to a large surface area of the body having been burned. It is necessary to treat scalded skin syndrome with intravenous antibiotics and to protect the skin from allowing dehydration to occur if large areas peel off. The disease occurs predominantly in children but can occur in anyone. It is known formally as staphylococcal scalded skin syndrome. No vaccine is available to prevent a Staphylococcus aureus infection. Since the bacteria are so widespread and cause so many different diseases, prevention of staph infections requires attention to the risk factors that may increase the likelihood of getting a particular type of staph infection. For example, it is possible for menstruating women reduce the risk of toxic shock syndrome by frequently changing tampons (at least every four to eight hours), using low-absorbency tampons, and alternating sanitary pad and tampon use. Careful attention to food-handling and food-preparation practices can decrease the risk of staphylococcal food poisoning. Prevention of staph infections can be aided by proper hygiene when caring for skin wounds. Careful hand washing, avoiding close skin contact with possible infected individuals, and proper hygienic care of skin scrapes, cuts, and wounds can all reduce the likelihood of skin infections due to staph, including community-acquired MRSA. 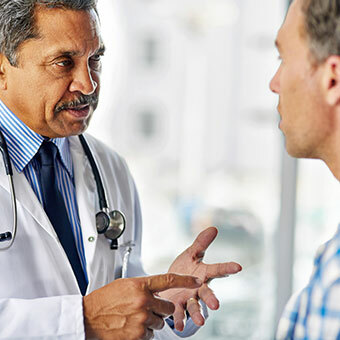 The prognosis or outcome of staph infections depends upon the type of infection that is present as well as other factors such as the extent to which the infection has spread and the underlying medical condition of the patient. Skin infections and superficial infections, in general, are readily cured with antibiotics. In rare cases, these infections may spread and cause complications, including sepsis (spread of infection to the bloodstream). It is important to remember that even after taking antibiotics for a staph infection you can still develop a repeat infection. 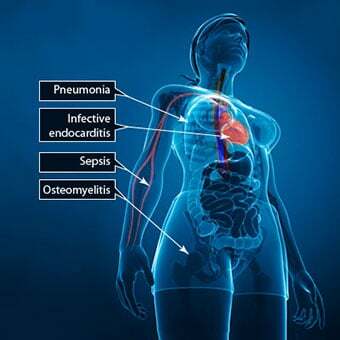 Widespread infections such as sepsis have a more guarded prognosis; mortality (death) rates range from 20%-40% in cases of Staph aureus infection of the bloodstream. Before antibiotics were available, about 80% of people with S. aureus sepsis died from complications of the condition. People with suppressed immune systems (those taking immune-suppressing medications or with immune deficiencies) are at increased risk for developing more serious infections. Staphylococcal food poisoning typically resolves on its own without long-term complications. Baorto, Elizabeth P. "Staphylococcus Aureus Infection." Medscape.com. Nov. 1, 2017. <http://emedicine.medscape.com/article/971358-overview>. Herchline, Thomas. "Staphylococcal Infections." Medscape.com. Apr. 7, 2017. <http://emedicine.medscape.com/article/228816-overview>. Smith, Darvin Scott. "Bacterial Infections and Pregnancy." Medscape.com. Aug. 25, 2016. <http://emedicine.medscape.com/article/235054-overview>. United States. Centers for Disease Control and Prevention. "Methicillin-resistant Staphylococcus aureus (MRSA)." Mar. 25, 2016.